After a rocky start to the week (hip joint problems) I got back on track (literally and figuratively) by midweek. This week’s installment of the Revelation series video required a change of plan. Owing to the length, I had to split the Episode into two parts. Part 1 is Revelation 20:1-6, St. John’s poetic introduction. Part 2 is verses 7 through 21. 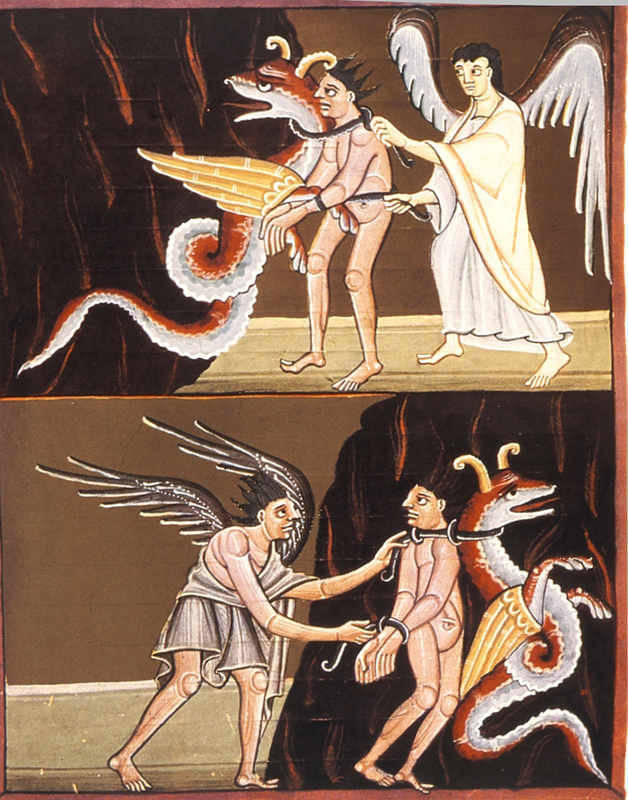 The illustration is Binding and Loosing of the Beast from the Bamberg Apocalypse. I have completed Episode 27, which will be released next week and plan to record the soundtrack for Episode 28, the final episode in the series, later today. In these last three episodes I have focused on both the current and previous uses of words, phrases, numbers, and theological concepts in St. John’s word picture of His coming again and of the General Judgement. Viewers will see that even more clearly in Episode 27, which, I believe, is the best so far in the series, owing to St. John’s weaving the threads of his narrative into more comprehensible whole cloth. 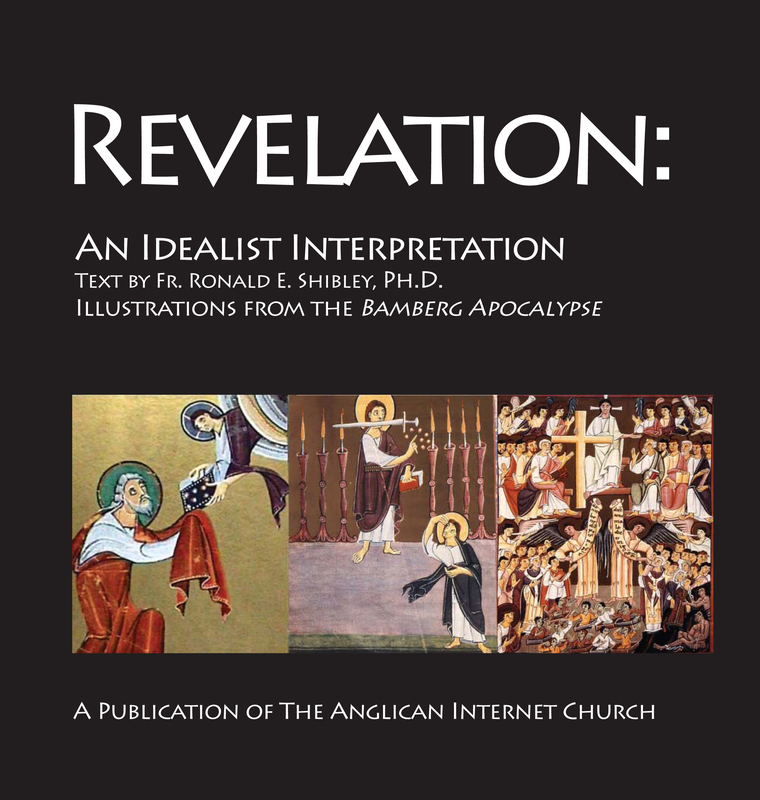 I have reformatted the book version of Revelation: An Idealist Interpretation into a wide page format, identical in size and design to another AIC Bookstore publication, Paintings on Light. This allows for larger type faces and larger pictures so that readers can more fully appreciate the remarkable quality and content of the illustrations from the Bamberg Apocalypse. The preliminary design is attached at left. The artwork included is a placeholder for the final version in which the pictures will be taller and narrower versions of the details of several illustrations. I also uploaded the Podcast Homily for Twentieth Sunday After Trinity (Ephesians 5:15-21; Matthew 22:1-14). Listen to the Podcast Homily. As always, thanks again for your interest in the Anglican Internet Church online ministry (www.AnglicanInternetChurch.net and related sites). May the Lord continue to bless you in all that you do in His Name! Amen! Glory be to God for all things! Amen!